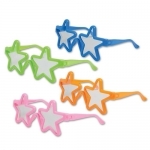 Let the little ones look good with your brand imprinted custom kid’s glasses available in assorted colors. These sunglasses are cool and stylish and hence children will love to wear it. 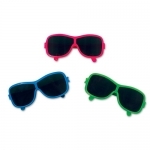 The custom made sunglasses are s CPSIA compliant and hence safe for children. 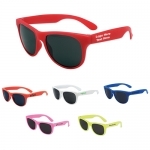 The promotional kid’s glasses offer UV400 protection. 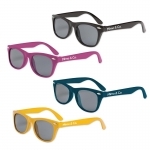 These personalized classic sunglasses are available in assortment of four colors. 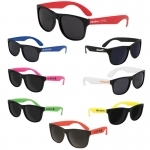 The personalized kid’s glasses can be easily customized with your brand name and business logo. 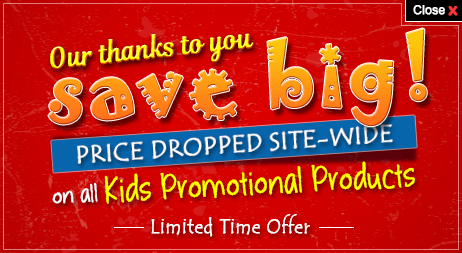 Promote your business through these attractive sunshades for kids. 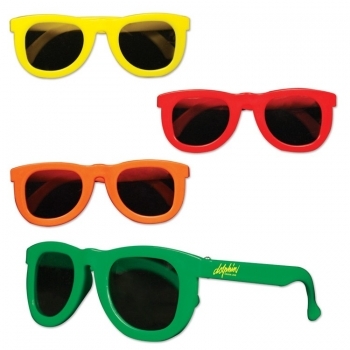 They are light weight and hence could be used as a portable promotional gift for trade shows and conventions.